Canadian Language Education Online specializes in the development of dynamic e-learning courses for ESL students. 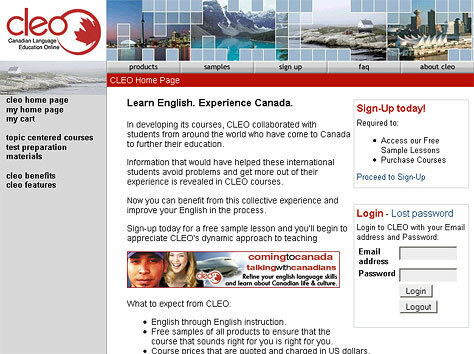 CLEO courses were produced in response to a growing demand for content that was fresh, uniquely Canadian, and practical for students choosing Canada as a place to live or study. As CLEO lessons are delivered online, they are available to students anywhere. The requirements for the CLEO could not easily be supplied by a prepackaged or out-of-the-box software solution. An important part of the CLEO project was to have publicly accessible pages and product descriptions in multiple languages to serve many global markets. The web site code and database schema uses Unicode text to allow a consistent approach to displaying both Latin and Asian character sets. The enrollment of students in courses is made possible through integration with two third-party LMS (Learning Management System) software. Another third-party course delivery system was integrated to provide TOEIC and TOEFL test training. Institutions can use the shopping cart system to purchase courses for their students, which they can purchase in multiple quantities. 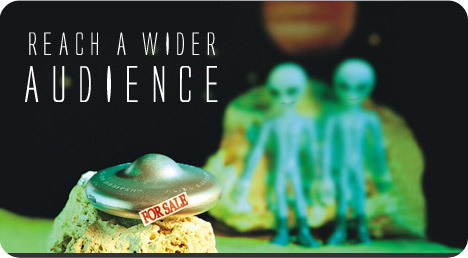 The shopping cart also accepts promotional codes - used as coupons - which provide a reduced price to the customer. In the member's area, Star Global also developed two online tools to promote communication in the CLEO user community: a forum, and an online poll.